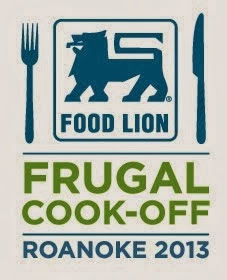 Food Lion's 2013 Frugal Cookoff! I attended the amazing Food Lion Frugal Cookoff 2013 event in my area on November 6! I competed with other bloggers to cook a meal with $15 in 45 minutes. We placed 3rd! We all had a great time and it was awesome meeting other bloggers who shared similar interests!